Leigh Designs. 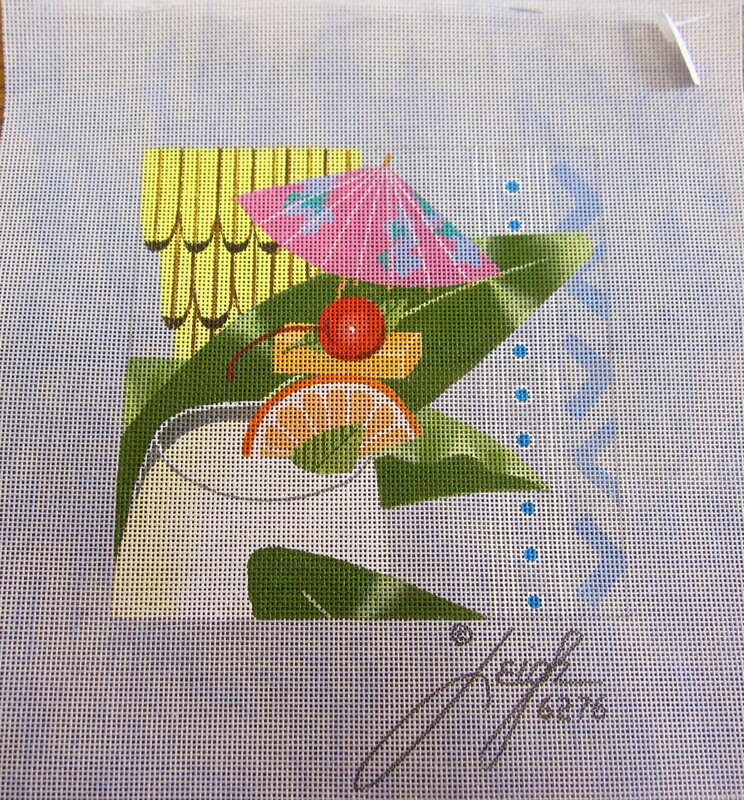 Handpainted canvas on 18 mesh - includes stitch guide. Canvas size is 10 x 10.